Just to start off this review, this is most likely more for the mk7 owners as they google search and stumble upon this. Considering that our cars are older and most people already have the suspension of choice, I thought I could shed some light for owners of the newer platforms. 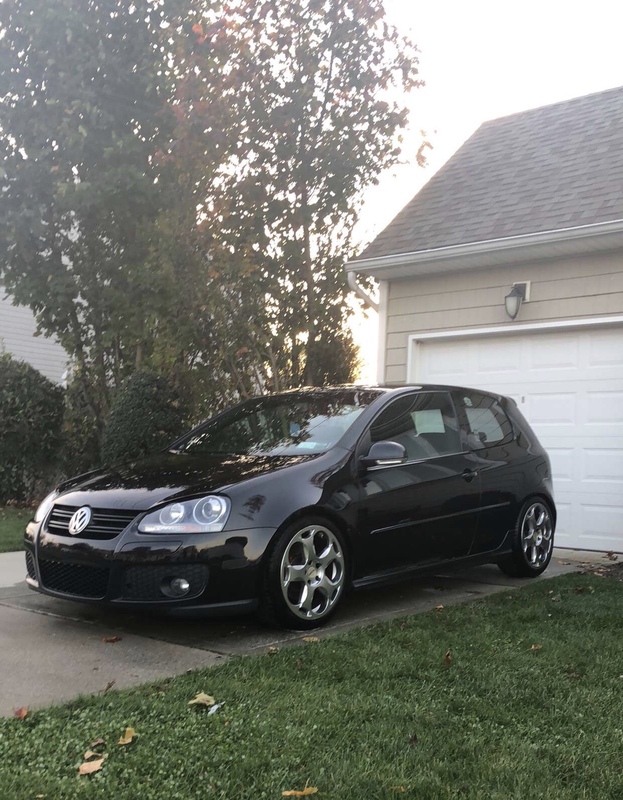 I have owned my 2008 FSI GTI for 9 years now, from age 22 to 31. I have had quite a few suspension setups along the way but I feel that two need to be talked about. I have also changed as a person so I have gone from the more aggressive Bilstein B14 coilover setup to the Koni/eibach pro kit setup. I will admit that I actually have had terrible experience with Koni in the past and that I would say I’m a Bilstein fan boy but I will review the Koni setup first. The Koni FSD/eibach pro-kit is something that I would consider between OEM+ and aftermarket. Meaning, it’s not a full blown upgrade, but it is better than OEM. Similar to getting a dogbone insert which is OEM+ and then installing aftermarket stiff mounts which I consider an aftermarket upgrade. The ride comfort is truly amazing, I actually saw a post on audizine about “are there any negatives to this kit?”. So I actually thought the same, something has be to bad, since there are too many good reviews. Personally I hate Koni from past experience but this setup is comfortable, better handling, and slightly lower than stock for the cosmetic appeal. This setup is NOT more comfortable than stock, but it does come rather close. The only con I guess I would have is that you are paying ~$800 for this setup, and you can’t modify it at all, you will be stuck with this exact setup as the springs cannot change the ride height too much for these specific shocks. Handling is improved over stock but I would say it is 40% less confident than the Bilstein Coilovers that I will review in the lower paragraph. There is some slight “bounce/float” at higher speeds when hitting uneven pavement, but for daily driving I would say this is the ideal suspension. This suspension is NOT for the track, you can certainly still goto the track if you have any local SCCA or SCDA events near you as it handles better than stock. I rate the Koni/eibach combo as the best daily driver setup, that I have ever experienced. The below image is how the car currently sits. Now for the Bilstein B14 PSS coilover review, which I actually needed to comment about after watching Deutsche Auto Parts review on it. This suspension is NOT for daily driving, comfort is all about perspective. This suspension is comfortable if you have freshly paved road, if the road has any deviation you will feel every single bump, which is good for handling, bad for daily driving. There is no mystery when driving on these, there is no “float/bounce” when riding on these. They are extremely confident, you know what the car is doing at every single deviation in the road. The negative is that your back will feel every deviation! When they review these Coilovers in the video, he seems so calm, as if it’s the perfect upgrade but trust me, unless you have perfect roads, you will be dodging every deviation in the road and it will feel like Mario kart when you are dodging bananas. You will be very focused on what lies ahead, unlike the current Koni/eibach setup where I can drive like I am stock. The build quality on these is superb, they also have great and efficient customer service. The below picture is how the car was riding on the Coilovers when they were almost fully turned down. To sum this up, if you want OEM+ with a slight drop, go with eibach/Koni combo, if you want to track, have ideal roads, or do not mind being tossed around in the car, go with the Bilstein B14’s. I also have 034’s rear sway bar set on stiff setting while both of these suspension setups were on the car and I will review that in about a week. 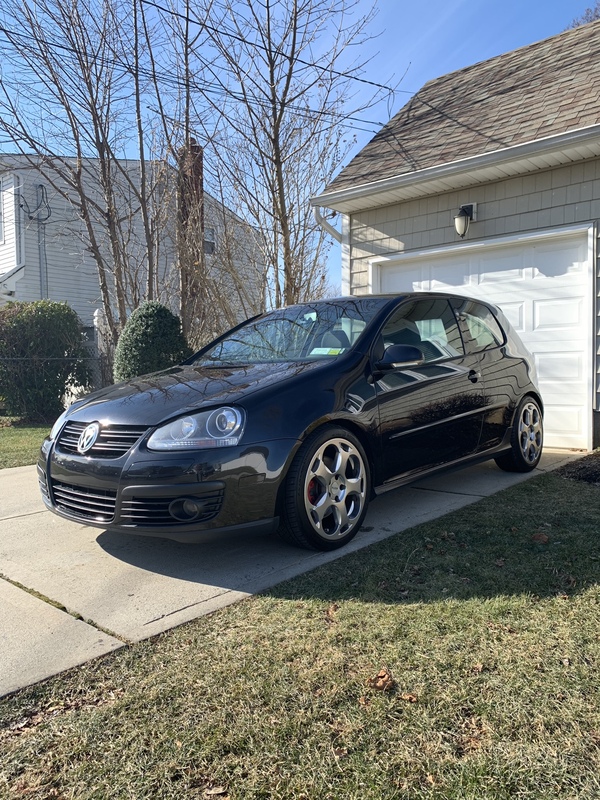 2008 GTI APR Stage 2+/Neuspeed P-Flo Intake, APR HPFP, APR Downpipe, Koni FSD/Eibach Pro-Kit, 034 Rear Sway Bar with Whiteline End-links, New South Performance Vent Mount Boost Gauge, Full Wolfsburg front end conversion, Hawk ceramic pads.